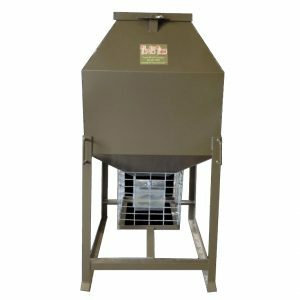 Texas Wildlife Supply 600# Old Timer Feeders are now on sale at Argyle Feed Store. Original retail price $675, on sale through September 2018 for $550. This feeder is built to last and withstand the rough outdoors. Its design is built to maintain feed quality and palatability in a safe way. The unique design maximizes consumption but reduces feed loss due to weather and other animals. Come to Argyle Feed Store and get your Texas Wildlife Supply Old Timer Feeders today! This entry was posted on Thursday, September 13th, 2018 at 3:06 pm	and is filed under News & Updates, Wildlife, Deer. You can follow any responses to this entry through the RSS 2.0 feed. Both comments and pings are currently closed.